What's a badass job. Firefighter? Rocket scientist? International Man of Mystery? Perhaps all... and one more - chef. At least Anthony Bourdain is. 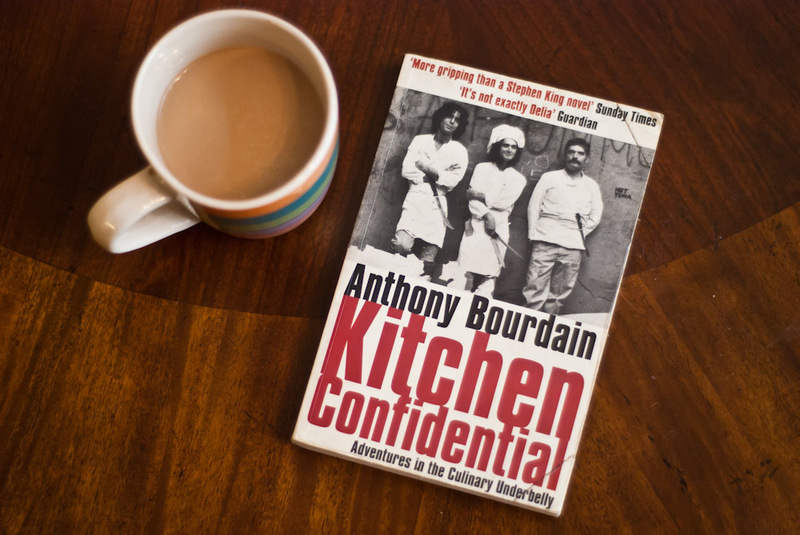 From how he grew up being a trouble maker to how he's now a grown up trouble maker, this book gets you to know more about Bourdain than food. Every once in a while I come across a story where determination trumps everything else. This is one of them. Bourdain spends most of his waking hours either cooking or thinking about food (mind you I'm talking about before him starting his TV career). He once went on a three-day, no-sleep, cocaine-fuelled bake-a-thon for one of this early catering clients. The longest I've gone without sleep is missing two nights, and I think there were a few barely-conscious hours in there that could probably count as sleep. One thing that I didn't know before reading the book was that professional chefs aren't paid to do R&D - they are paid to produce. Produce consistently, without fail. And for high-end places, produce a wide enough menu as well. The image of the fat French guy who loves to cook is for the cartoons. This French (sort of) guy means business. There are moments where Bourdain talks about his fondness for food, and not just about the Mexicans in his kitchen or how pissed he was at his suppliers. The freshness of simple ingredients is something he always promotes. He much prefers a home-cooked meal with simple ingredients than a fancy work of "art" with all sorts of oils drizzled on top. And I think that speaks to his character too - a down-to-earth guy who speaks his mind and is unashamed to be his unadorned self. An entertaining, and oddly inspiring, read.